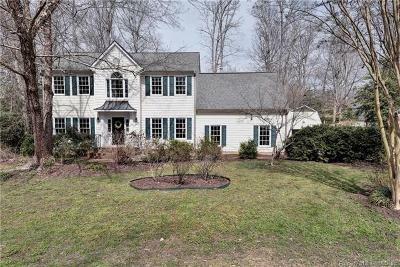 Classic 4 Bedroom Colonial located in York County Williamsburg is move in ready! Timeless architectural features include solid hardwood flooring, crown molding&chair rail throughout. Commanding 2 story entry foyer w/a large Palladian window&hardwood flooring. The cozy Family Room has access to the deck and slate patio. New gas fireplace. The Dining Room has hardwoods, crown and chair rail and can be formal or informal. The Living Room would make a nice home office and that too has hardwood flooring. Table space eat-in kitchen features granite countertops and solid wood cabinetry. There is a 1st floor powder room. Upstairs is the Master Bedroom suite with hardwood flooring and walk-in closet. The Master bath has a walk-in shower, jetted tub and double sink vanity. The other 3 bedrooms all have hardwood flooring, plenty of eaves storage too. Oversized 2 car garage. For the car/hobby enthusiast, a separate insulated detached garage w/AC and storage above. Built by Wayne Harbin builders. No HOA! Membership to the Queens Lake community pool is optional.